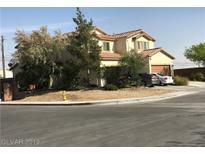 Below you can view all the townhouses for sale in the Cheyenne Valley subdivision located in North Las Vegas Nevada. 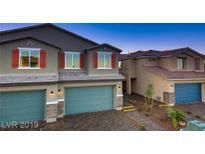 Listings in Cheyenne Valley are updated daily from data we receive from the Las Vegas multiple listing service. To learn more about any of these townhouses or to receive custom notifications when a new property is listed for sale in Cheyenne Valley, give us a call at 702-323-5963. Garage Door Opener, Washer, Dryer, Soft Water Loop, Gas BBQ Stub, Brick Paver Driveways, Ceiling Fan Pre-wires, USB Plugs in Kitchen and Master &MUCH MORE! ! MLS#2089301. D R Horton Inc. It is agood for investor and also for owner occupaid. MLS#2088684. BluePrint Realty LLC. Buyer must honor CURRENT LEASE through 01 August 2020. 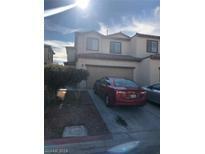 MLS#2087745. Coldwell Banker Premier. New Construction Home By Dr Horton, Backed By Fortune 500 Company**36" Cabinets**granite @ Kitchen & Vanities**stainless Single Bowl Sink @ Kitchen**stainless Steel Microwave/Stove/Dishwasher/Refrigerator**18x18 Tile All Downstairs & Wet Areas Up**two-tone Interior Paint**8' Entry & Garage Door**garage Door Opener**washer/Dryer**paver Driveway/Walkway**ceiling Fan Prewire In All Rooms**usb Plugs In Kitchen/Master**bbq Stub**plus Much More MLS#2088010. D R Horton Inc.
Grand master suite w/ spa like retreat! Move-in ready!!! Get in today! MLS#2082669. Maxim Properties. New Construction Home By Dr Horton, Backed By Fortune 500 Company**36" Cabinets**granite @ Kitchen & Vanities**stainless Single Bowl Sink @ Kitchen**stainless Steel Microwave/Stove/Dishwasher/Refrigerator**18x18 Tile All Downstairs & Wet Areas Up**two-tone Interior Paint**8' Entry & Garage Door**garage Door Opener**washer/Dryer**paver Driveway/Walkway**ceiling Fan Prewire In All Rooms**usb Plugs In Kitchen/Master**bbq Stub**plus Much More MLS#2083393. D R Horton Inc.
New Construction Home By Dr Horton, Backed By Fortune 500 Company**36" Cabinets**granite @ Kitchen & Vanities**stainless Single Bowl Sink @ Kitchen**stainless Steel Microwave/Stove/Dishwasher/Refrigerator**18x18 Tile All Downstairs & Wet Areas Up**two-tone Interior Paint**8' Entry & Garage Door**garage Door Opener**washer/Dryer**paver Driveway/Walkway**ceiling Fan Prewire In All Rooms**usb Plugs In Kitchen/Master**bbq Stub**plus Much More MLS#2083383. D R Horton Inc. This Is Definitely A Must See! MLS#2082189. Vegas International Properties. Features To Include: Freshly Painted Two Tone Paint, New Carpet And Vinyl, Open Living Room Area, Kitchen With Granite Countertops, Built In Microwave, Master Suite With Large Roman Tub, Nice Sized Bedrooms And Closet Spaces, Backyard With Desert Landscaping, Patio, New Fixtures And Faucets, Washer And Dryer Included. MLS#2077444. Brazill Team Real Estate. Separate Laundry Room Downstairs With washer & Dryer Included. Covered Patio In Backyard! MLS#2072584. Robinson Realty & Management. New Construction Home By Dr Horton, Backed By Fortune 500 Company**36" Cabinets**granite @ Kitchen & Vanities**stainless Single Bowl Sink @ Kitchen**stainless Steel Microwave/Stove/Dishwasher/Refrigerator**18x18 Tile All Downstairs & Wet Areas Up**two-tone Interior Paint**8' Entry & Garage Door**garage Door Opener**washer/Dryer**paver Driveway/Walkway**ceiling Fan Prewire In All Rooms**usb Plugs In Kitchen/Master**bbq Stub**plus Much More MLS#2067886. D R Horton Inc.
Walk-in closets in all bedrooms, with a separate laundry room downstairs. MLS#2067433. Compass Realty & Management, L.
With Nice Title And Wood Laminate . MLS#2060072. United Realty Group. Community park and common area maintenance are part of the HOA. MLS#2056935. Opendoor Brokerage LLC. Home comes with a 30-day buyback guarantee. Terms and conditions apply. MLS#2037268. OD Nevada Brokerage, LLC.